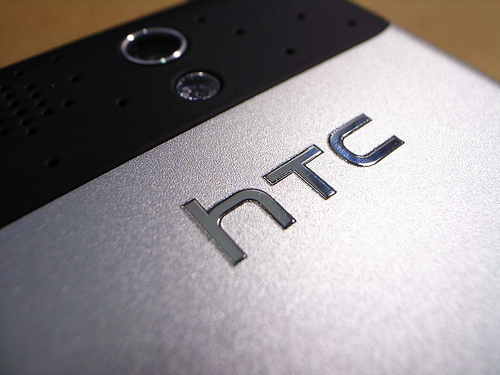 HTC has released its sales results for June 2010 and from looking at the figures, the Taiwanese company continues to pull in significant revenue from its smartphones, posting sales of US$741.392 million last month. Sales in June 2010 were up 66.68% from the previous year – assisted by the launch of its flagship 4G handset in the US; the HTC Evo 4G and continued growth of the Android operating system. With an estimated 160,000 Android phones being shipped per day – HTC is enjoying a large percentage of sales, with the vendor launching more Android powered handsets on than any other manufacturer. 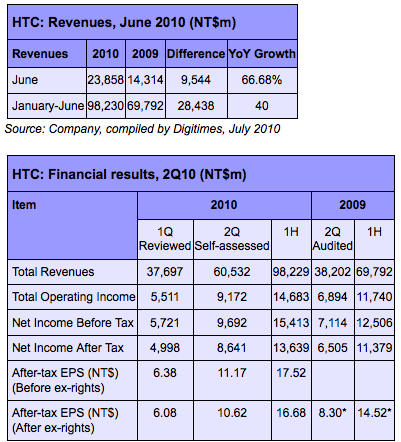 With HTC expected to announce a new range of Windows Phone 7 powered phones later in the year, the handset vendor will look to surpass the NT$98,230 billion posted January to June in the latter half of the year.